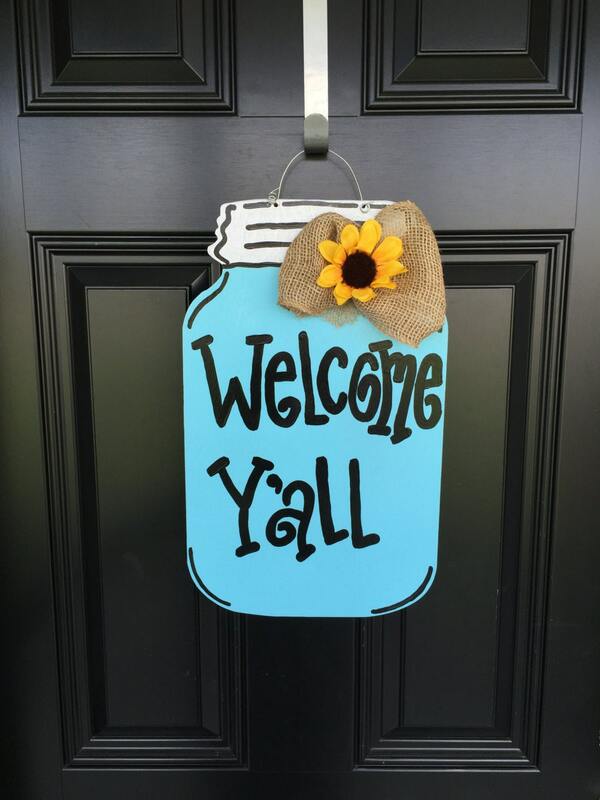 This makes a great southern welcoming summer wooden door hanger. 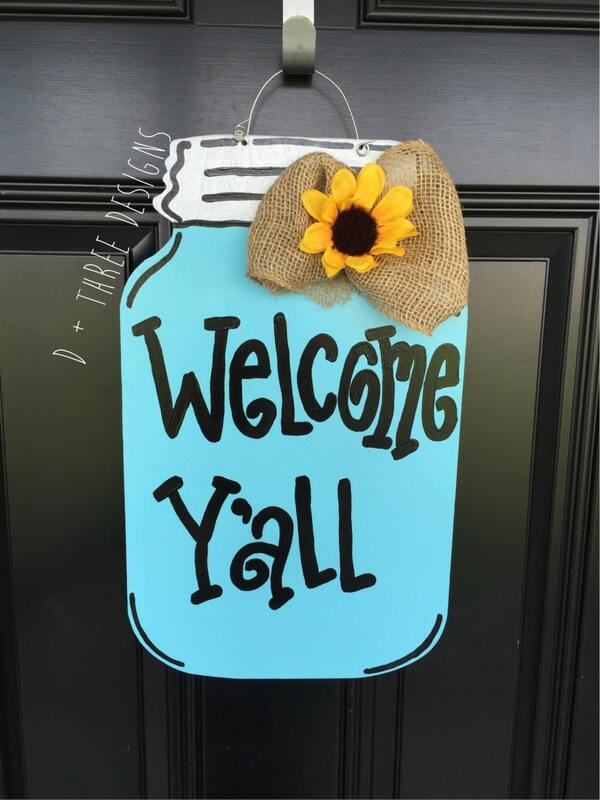 This hand painted and sealed mason jar wooden door hanger is made out of 1/2" birch wood and measures 18 inches tall by 11 inches wide. 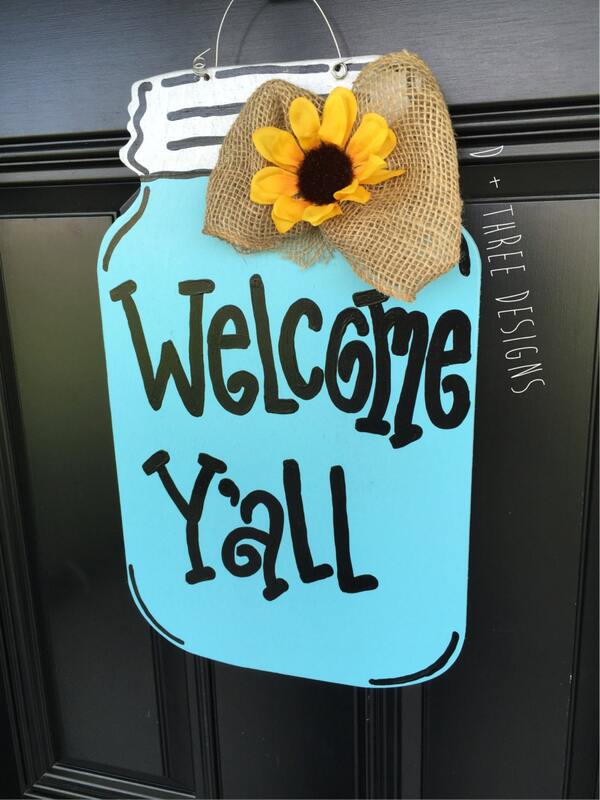 It comes painted with a wire door hanger, and large burlap bow a sunflower. Please put any custom requests regarding wording and color you would like in the "Notes to Seller" box at checkout! Alternate bow colors are available at no extra charge upon request!